I think this past month God has challenged me to continue to cut back on expectations and reminded me to treat others as I want to be treated. I really like your sentence about being in prayer more than on our phones. Love hearing about the peace he has given you on this journey! Forgiveness is a huge theme for me and in our household this month. Forgiveness of others and of ourselves. The big question that we are asking ourselves at home is "at the end of the day, will it matter whose fault we thought it was?" Even though Freedom is my word for 2018, I am learning more and more that there is freedom in forgiveness. Truly living selflessly and showing that kind of love is a challenge. Love seeing how God has been leading you and working in your life. 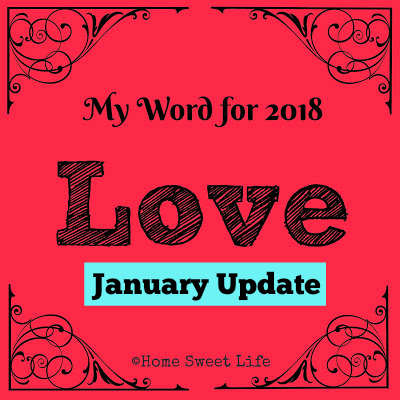 I never got around to writing my Word of the Year post - my word is Trust, and God has sure given me opportunity to practice doing that already this year!